If you’re a Star Wars fan, then the name Drew Struzan should resonate with you. He’s responsible for some of the most iconic looking Star Wars movie poster designs out there, and if you’ve gone to see a Star Wars movie in a theater, you’ve probably seen one of his designs. 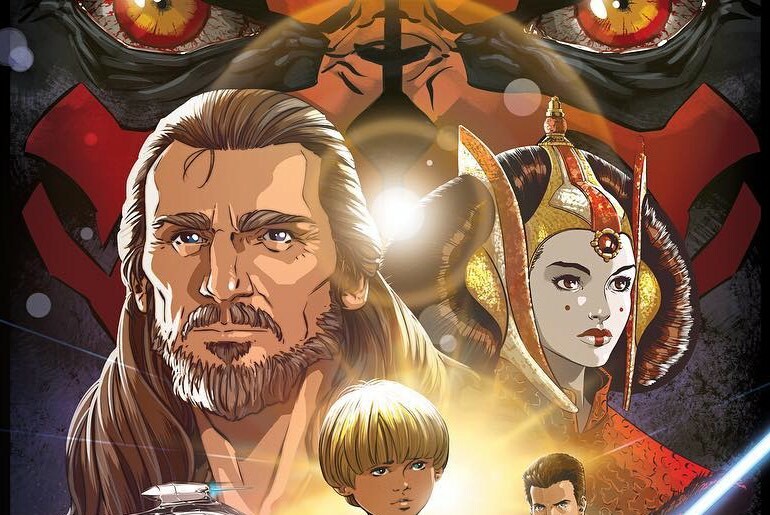 He’s so loved in the Star Wars community, that Lucasfilm asked other artists to provide their own take on his work for the 20th anniversary of The Phantom Menace. One such artist has shared his work on IG, and it is absolutely insane. The artist is Michael Pasquale, and his style is undeniably awesome. He put an animated spin on Struzan’s TPM poster, and it works flawlessly. It looks like it’s a poster for the Disney animated version of the film. The coloring is exquisite and vibrant, and the layout perfectly recreates the original, albeit with an illustrated feel. This version of the poster will be on sale at the Star Wars Celebration Store only next week, so if you like what you see, make sure to pick one up while supplies last.